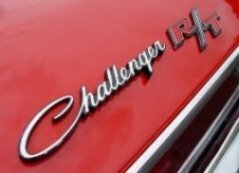 Does anyone still make Urethane bumpers for a 1971 Challenger? Tom Chyrco, just look for his ad on the main Moparts page, I know he's doing the Cuda bumpers, I'll assume he's possibly doing the Challenger bumpers as well? IIRC he is doing them but I think you need to supply a steel straight bumper core. Hope you have them at Carlisle and look forward to talking to you again.